Pibow Candy. 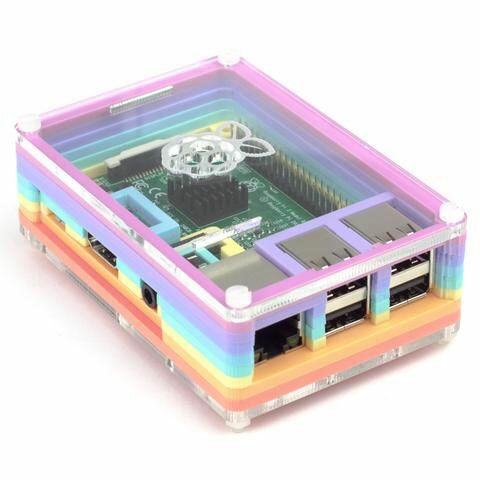 The most stylish, add-on friendly, and protective case for the Raspberry Pi! Available in full-sized Pibow with a throwback Raspberry Pi logo cutout, or Coupé giving you full access to the Pi's GPIO. Crafted out of unique layers including a transparent top and base that leave your beautiful Pi visible inside. 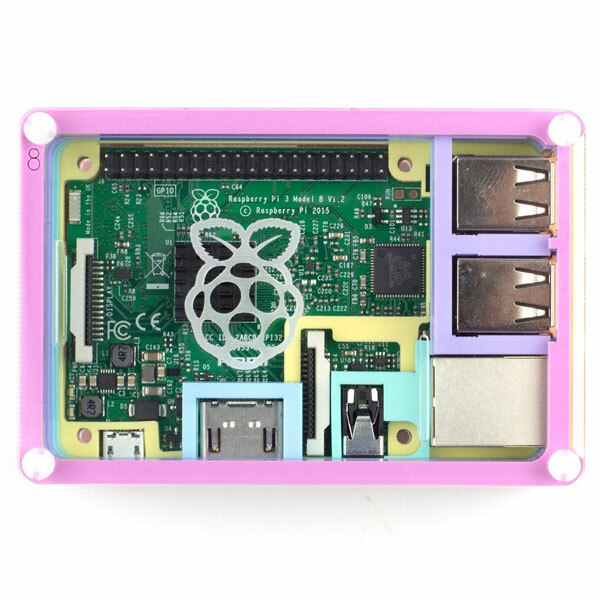 Each layer is laser-cut from colourful high-quality cast acrylic and once stacked they securely contain a Raspberry Pi 3, 2 or B+ while leaving the primary ports, including the camera port, and display port accessible. The case is lightweight and ideal for mounting to any surface. No tools are required for assembly or disassembly.